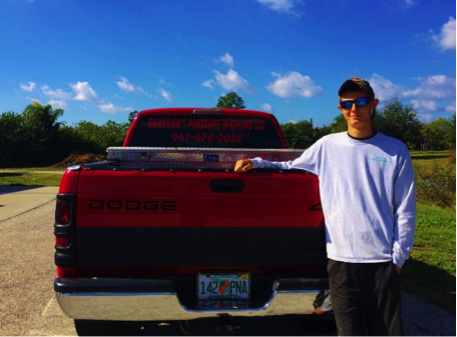 Brandon Coughlin is the Founder, Owner, And Operator of Brandon's Pressure Washing. Brandon's Pressure Washing LLC was founded in 2013 in Southwest Florida, and Services all of Southwest Florida Including: Lee, Charlotte, Desoto, and Sarasota County. We are continually expanding in types of services available, equipment and expertise. ​What sets us apart from our competition is the way that we complete each job thoroughly, on time and to your complete satisfaction. ⦁ Professional Grade Pressure Cleaning Equipment Including; 2017 Big Tex 14ft Tandem Axle Trailer, Trailer Mounted Honda gx690 Pressure Washers with General Pumps. Titan Hose Reels And GoodYear Pressure Washing Hoses.